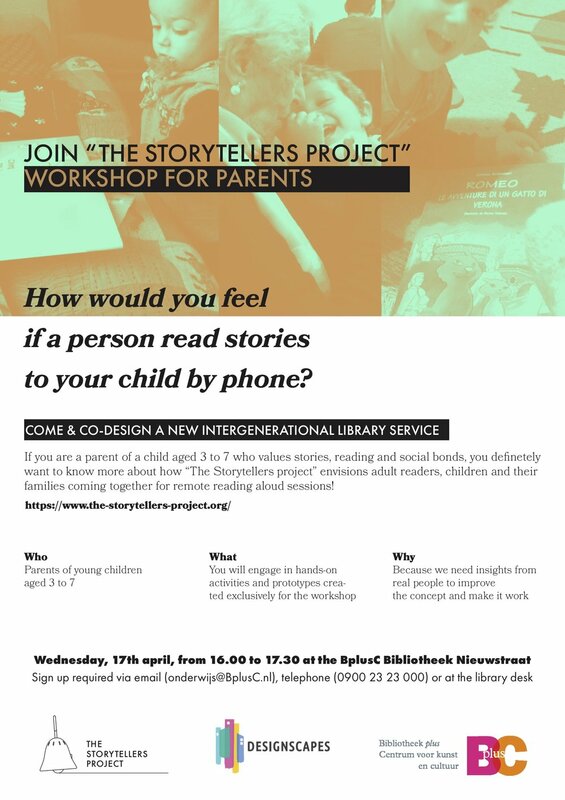 April and May 2019 are full of interviews, fieldwork and workshops for the Storytellers Project! The work, travel and contribution to collaborators are funded by Designscapes grant. In Rome I had the chance to meet Leyla Vahedi from Association Cartastraccia. We met at the European Library of Rome, which I thank again for hosting me and the research. Leyla is a real expert of children literature, reading to children and digital books. We had a conversation about reading to children and the books that engage children best. She is also experimenting a lot on -what she calls- “book app” with her fellow association colleagues. Leyla stressed the fact that the book as a physical object is really key to the relationship that one reader builds with the child because of the material, the rhythm of turning pages, the possibility to point with fingers, the fact that it is a shared object. Leyla has a great literature culture and was a real pleasure to meet her and learn from her. Storytellers is a DESIGNSCAPES winner! I am super excited to announce that The Storytellers Project ranked as one of the winners of the Designscapes call for feasibility study. This means that the project is receiving a grant that will allow me to conduct a feasibility study and to meet perspective partners to develop the project with. DESIGNSCAPES (Building Capacity for Design enabled Innovation in Urban Environments) is a European Community H2020 project approved under the topic CO-CREATION-02-2016 - User-driven innovation: value creation through design-enabled innovation. The overarching aim of the DESIGNSCAPES project is to exploit the generative potential of urban environments in the highest possible number of European Cities to encourage the uptake and further enhancement and up scaling of Design enabled Innovations by existing enterprises, start-up companies, public authorities and agencies, and other urban stakeholders. 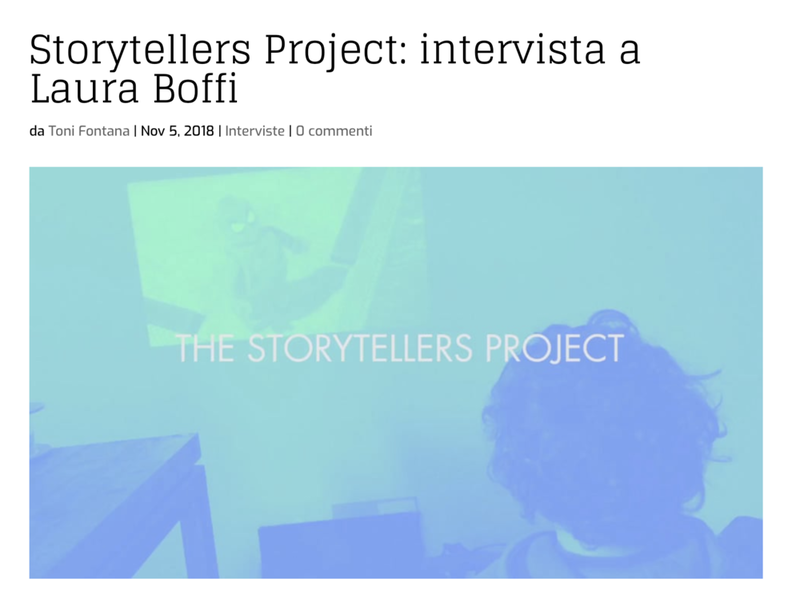 A new interview on The Storytellers project is out! Two weeks ago I was approached by information architect Tony Fontana, who writes a very informative blog. He came across the project on the web, soon after I released the Call to Storytellers. He asked me for an interview and I was very happy to answer to his questions. You can read it here!